The love between country music singer-songwriter Travis Tritt and wife Theresa Nelson is obvious! Get to know Theresa better through these facts. Travis Tritt wife: Theresa Nelson has been married to Travis for over 20 years. Country music star Travis Tritt and wife Theresa Nelson celebrated their 21st wedding anniversary in April of 2018. Get to know Travis’ true love through this collection of facts below! 1) Is Theresa Nelson Travis Tritt’s first wife? No, Travis was previously married twice before. He married high school sweetheart Karen Ryon in 1982 (Travis Tritt Wife #1), but they divorced in 1984. He later married Jodi Barnett (Travis Tritt Wife #2), but they split in 1989. Travis Tritt wife #3 appears to be the love to last. 2) Do Travis Tritt and Theresa Nelson have children together? Yes, they have a daughter, Tyler Reese (born February 18, 1998), plus two sons Tristan James (born June 16, 1999) and Tarian Nathaniel (born November 20, 2003). Checking out some local Christmas lights with my family. Counting down to the big day! 3) What was Theresa doing before she crossed paths with her famous husband? She was a Nashville-based college student and model. 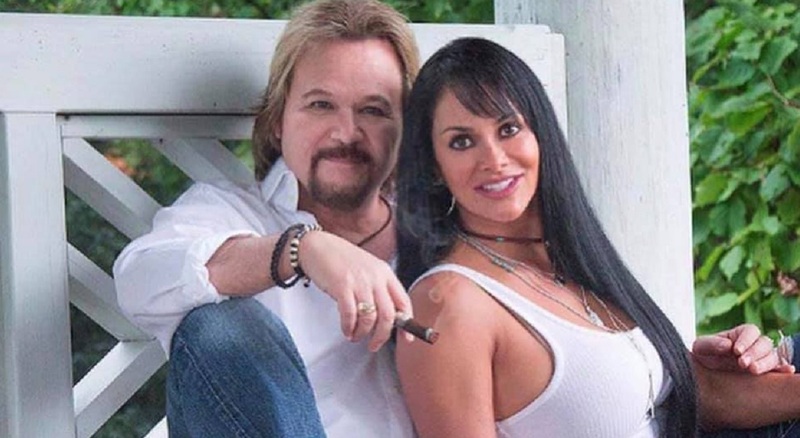 4) How did Travis Tritt and his wife first meet? They met randomly at a Nashville restaurant after a “Marty Party” taping with country music legend Marty Stuart. Just grillin’ & chillin’ on Easter Sunday with my lovely bride and our youngest son, Tarian! Hope everyone had a wonderful weekend. 5) Has Theresa inspired any of Travis’ music? Yes, most notably the song “More Than You’ll Ever Know” was written by Tritt just a few months into their romance. 6) How did Theresa react to Travis’ romantic song? According to Travis, she just grinned and completely loved it when he played it for her. 7) What made Travis put his wild days behind him and settle down with Theresa? He realized how badly he missed her while out on the road with a bad cell phone signal. The pair had spent a lot of time together early in their romance and being away from her for weeks with little contact hit the country artist hard. Share these Travis Tritt wife tidbits with other Travis Tritt fans!